Start by allowing the lobsters to defrost in the fridge. When ready, clean the heads of any brown bits which will not taste good. Season the lobster meat with salt and pepper. In a small pan, heat the butter and lightly fry the garlic without letting it burn. Place the lobsters in the grill, shell face down. Drizzle the lobster meat with the garlic butter and close the grill. 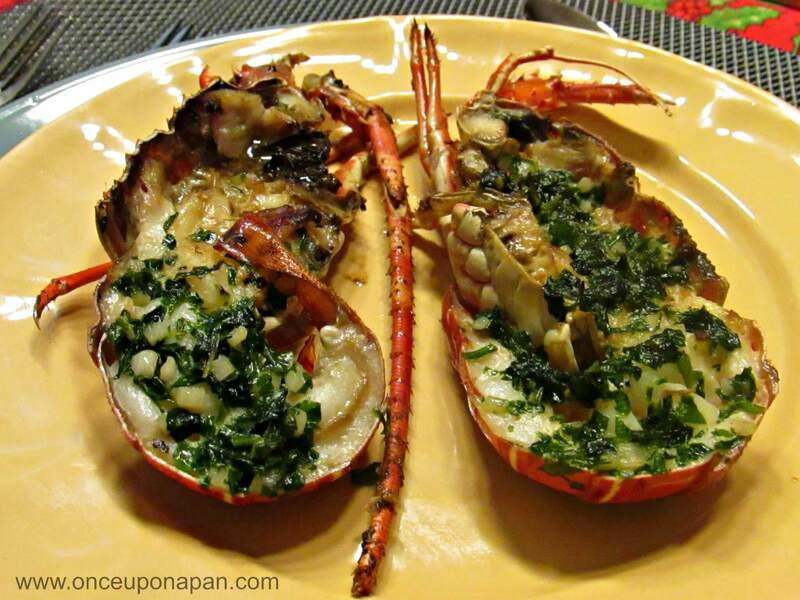 If using the oven grill or an open grill, just start by cooking the lobsters meat face down for about 2 minutes. Then turn them around and drizzle with the garlic butter. Let it cook for about 10 minutes or until the lobster have turned red.